Granting Employees access to the R365 Mobile App and limited-use portals of R365 is a simple process. Once the Employee record has been imported from the POS via the POS Integration (or manually created), the record can be granted 'App Access' by clicking the 'App Access' checkbox on the General tab of the record. Upon reloading the page, the 'Send Temporary Password' button appears next to the 'App Access' checkbox. This button allows you to send a temporary password to the Employee using the 'Preferred Contact Method'. 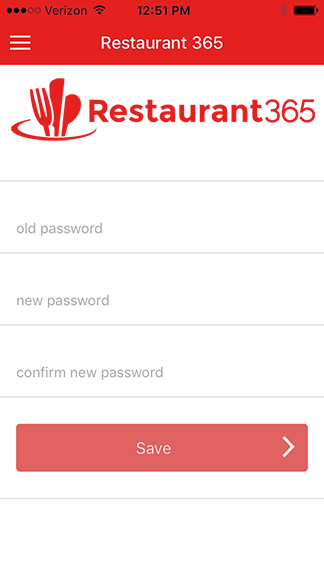 Each Employee that is granted 'App Access' will have a User profile automatically created for them. This User profile will be listed with all other Users in the 'Administration' subsection of the Accounting module. Each Employee User profile will also automatically be assigned the 'Employee App Access' security role. The Location access for the User profile will use the same Location values that had been present on the Employee Record. 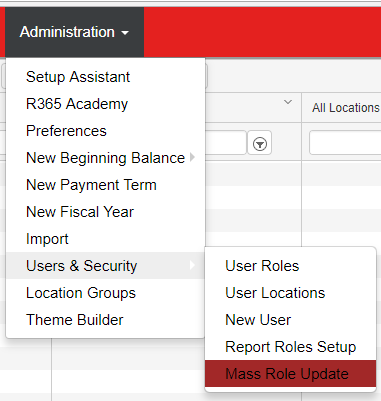 Having this role grants access to the R365 Mobile App, and the limited-use Employee Portal. The 'Employee App Access' role supports only Scheduling functions within the App and Employee Portal. The 'Employee App Access' role is a Primary Security Role for your Employee Users and cannot be taken away without revoking access to R365. As stated above, this role will give the Employee User the employee level access to the Scheduling module.